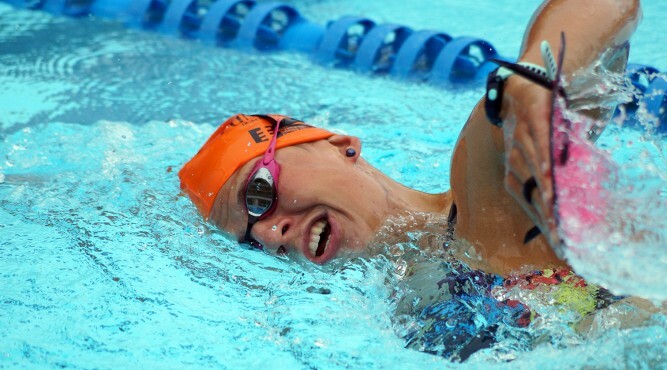 She took part at the World Triathlon Series, collected points and finally qualified for the Olympic Games. In Rio de Janiero she represented the small triathlon nation Estonia and raced in a field with all superstars of her sport. It was the end of an unbelievable journey. “In 2015 I had just a small chance to qualify for the Olympics. It had to go really well. But I still said: ‘There is a chance so I’ll take it’. Therefore our Tour around the world began”, says the 24 year old athlete. During races in Australia, South Africa, Mexico and Japan she collected the important points for the Olympic ranking. “Finding out I’m qualified was more special than to be at the Olympics. It was unbelievable and at the same time I realized that I reached my goal to I’ve worked so hard for”, explains Kivioja. 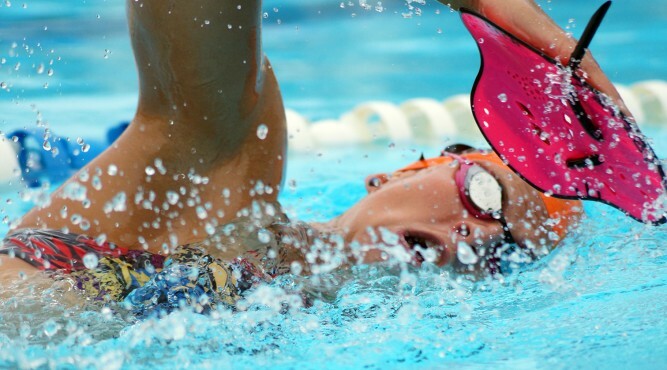 During her individual race to Rio, she proved her unbeatable will to compete and improve. 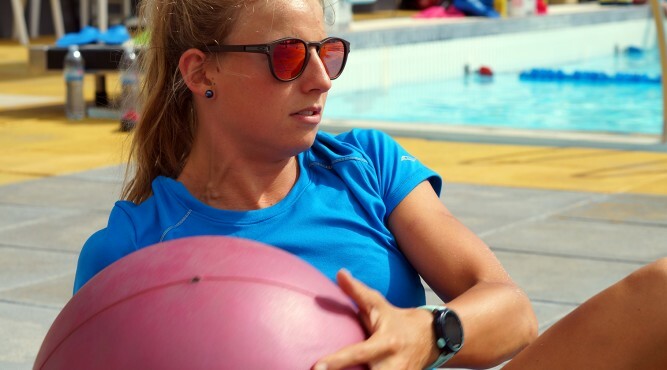 Therefore the European Triathlon Union honored the Estonian for her achievements in 2016 and for being a good representative of the Federation’s development program. After such an extraordinary year, Kaidi Kivioja has set new goals. “There is always something to improve. This is part of the fascination in triathlon”, she says. In the future, she wants to reach good results on races of the International Triathlon Union and continue to develop. Thereby she wants to focus on physical and psychological aspects of Triathlon. “I’m not the best swimmer. Sometimes I have some thoughts about the others and their performance in the water, before the start. Hence I’m working on it. I improved my swimming and my mental skills”, explains the 24 year old athlete. During Kivioja’s practices, she seems to know exactly what she needs to do. “Triathlon is a very challenging sport. The combination of three sports in practice and competition is special. I love it”, says the Olympian. 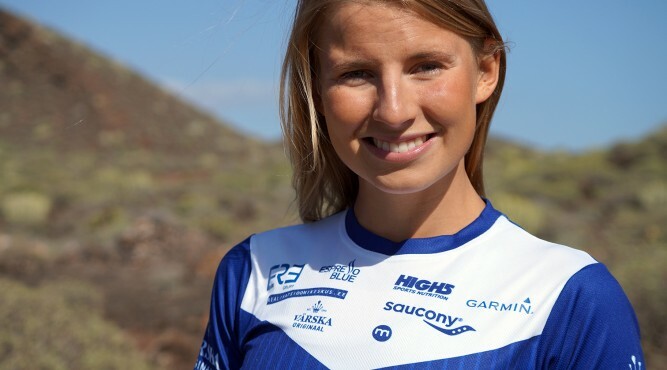 In the last four months she and her teammate Hans Korman visited Tenerife Top Training to prepare themselves for the coming season under perfect circumstances. “We’re very happy about the support here. For the first time in my career I had a coach in the Gym. This practice will help me during my competitions. We used the brilliant facilities to improve our performance. This was the best winter preparation I’ve ever had”, Kaidi looks back.